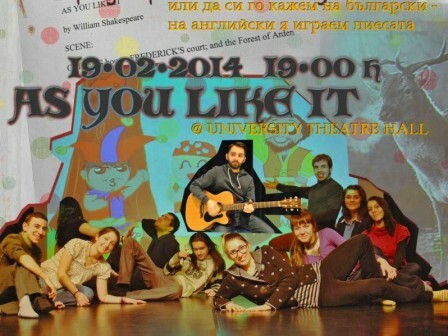 The celebrations of Shakespeare’s 450th anniversary at Sofia University, organised by the Department of English and American Studies and the University’s Cultural Centre, was opened on 19 February with a students’ production of As You Like It in the original language. The show is a product of the BA elective course Shakespeare through Performance taught by Dr. Georgi Niagolov. 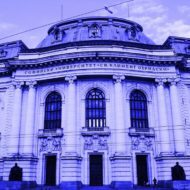 The stage concept, adaptation of the text, directing, score, multimedia sets and all creative aspects of the production were created by the student-actors based on their close reading of the play in its cultural and historical context.